The question still remains… does your business need a website? Do other businesses in your industry have websites? Can it give you an edge over your competition if your business has a website and your competitors don’t? Will it be helpful to potential customers if they could find information about your products or services on the Internet? If you answered “yes” to any of those questions, you may want to get a business website. You will need a website host. This is the company that provides the Internet-connected computer on which your website will live. There are a large amount of hosting companies out there, some better than others. This website is hosted with A2 Hosting. I really like the service that they provide. Their hosting packages start at $5 per month. You will also register your domain name, e.g. www.mybusiness.com, with the hosting company. You will then need to build your website. 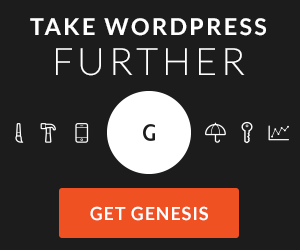 I highly recommend the WordPress platform to build your website. It makes the process fairly easy, and you can add a lot of functionality to your website that would otherwise take many hours to create. You can build your website yourself, or if you are not technically inclined, I would recommend hiring a website developer who can get you started fast and without breaking the bank. I provide website development services, and have built many websites over the past 15 years. If you are considering hiring a web developer, read more about my website services and contact me via the form at the bottom of that page. You now know whether it is time to get a business website, and you know what to do to get one. The next step is up to you. If you would like my help to get the job done, contact me.